Every great journey begins with the “first step” Why not begin your journey with us? 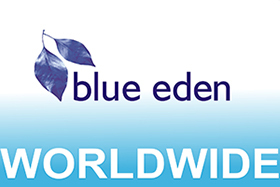 Why “Blue eden”? We were the first real estate company officially operating in SunnyBeach, after working for so long here in Bulgaria, we feel it is time to give a little back to this beautiful country and its’ people, And so……. This was a much worthy cause and in actual fact still is, the orphanage St. Ekaterina in the village of Iskra near to Karnobat Was the first to benefit from “Blue edens” generosity.